Shortly after arriving to Alicante for Christmas Holiday to visit my boyfriend, we started planning our adventure. 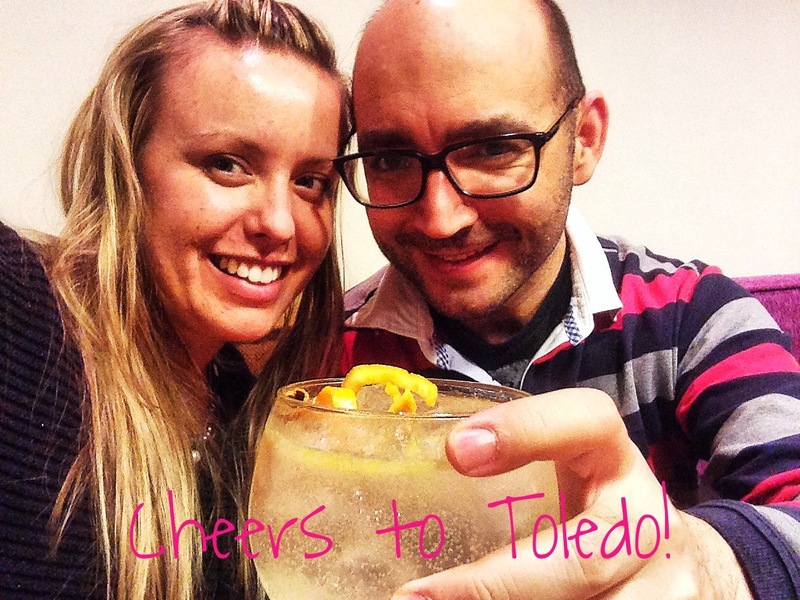 We decided we would leave Alicante and head to Toledo. 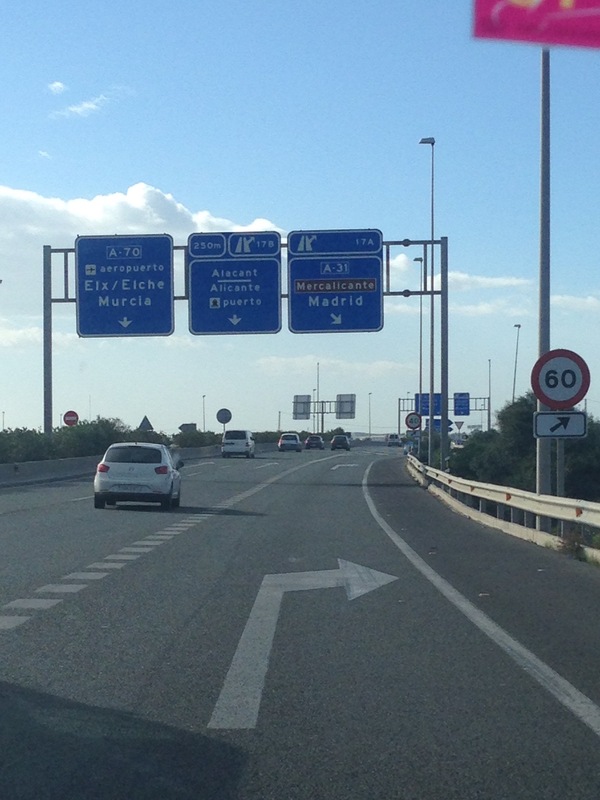 After Toledo, we would sneak in a visit to Ávila, stop in Madrid so D could run in a 10k in Madrid. Then, after New Years, the plan was to stop in Segovia and then head back to Alicante. 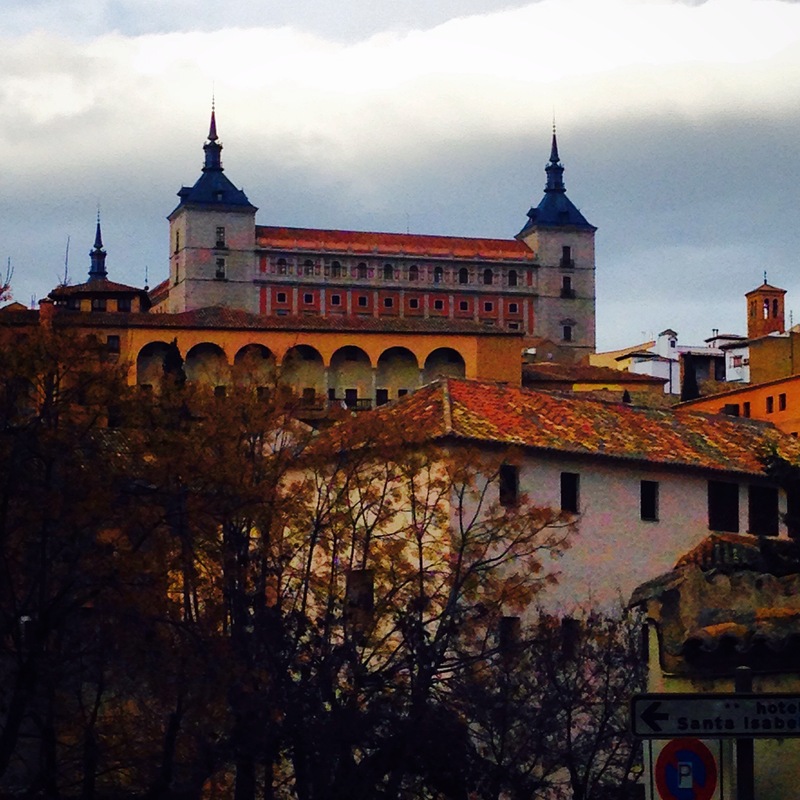 Along the way, we wanted to make one last stop to visit El Escorial, right outside Madrid. It was a very busy trip, but we were excited! 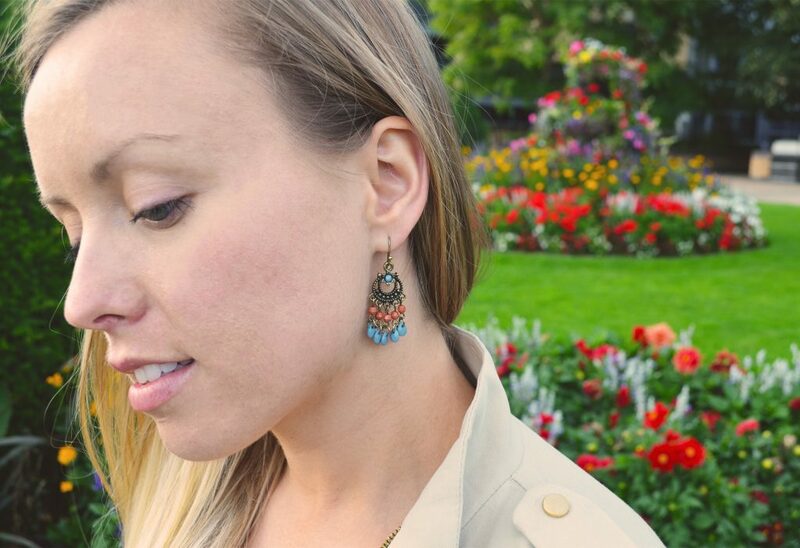 I’m going to break down our adventure into several posts, because there are a LOT of photos! While packing our bags, I had made several playlists for our ride, and burned them on to empty CD’s. We were so ready to get this trip started. Tragedy struck about 10 minutes outside of Alicante… Apparently, my computer only burned 5 songs (of my awesome playlist). We were doomed to listed to my 5 songs. By the end of the trip, we had “Undo It”, by Carrie Underwood, memorized. After a while, we ended up trying this thing called ‘conversation’ when we got bored of the music. It was actually really great to get to know him, and talk about what we were going to encounter. D is a huge history lover, and was explaining to me loads about the cities we were about to visit. 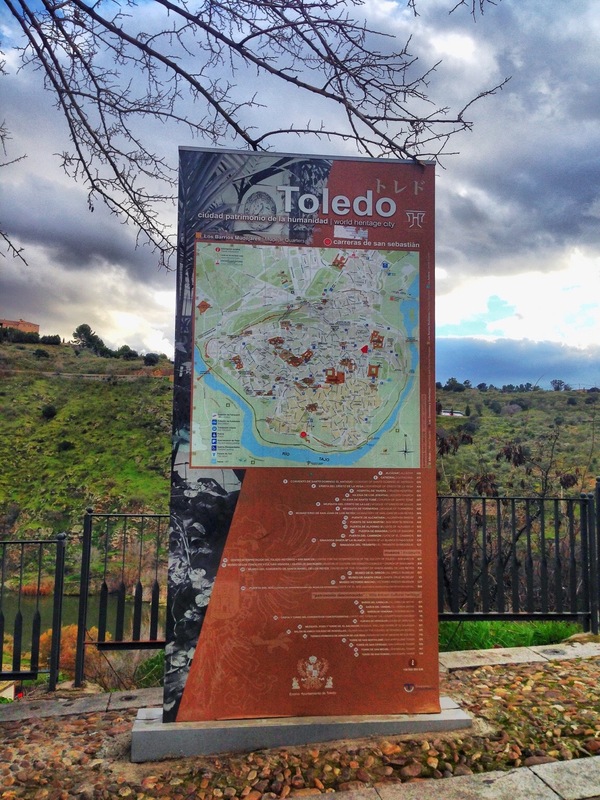 Finally, we arrived to Toledo. Everything was so picturesque. I could not stop being in awe of this city. It was so ancient. The streets were all cobblestone (and a massive pain to try and get around). There were several “Quarters”. The Jewish Quarter was, architecturally speaking, one of the more interesting areas. 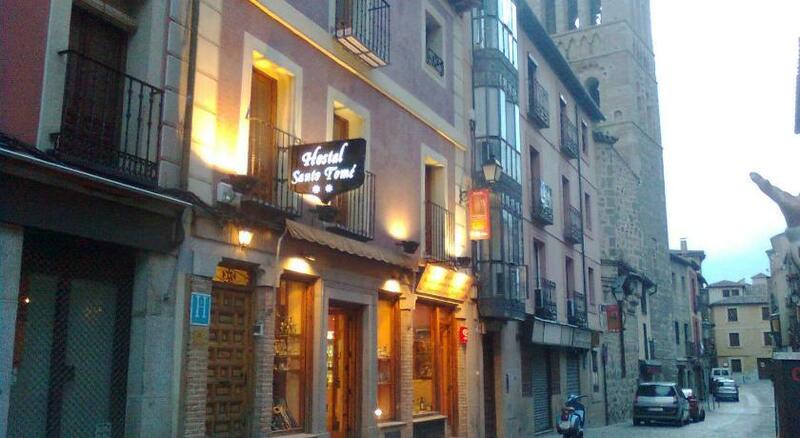 We got to our hotel, Hostal Santo Tomé. It was so adorable. On the lower level was a tiny souvenir shop for the public, and the upper levels were the rooms. Our room was very comfortable, but looked rustic. The windows had big wooden shutters on them, and transported you back to the city’s ancient times, without losing the necessary amenities of today. Overall, we were very pleased with our choice! 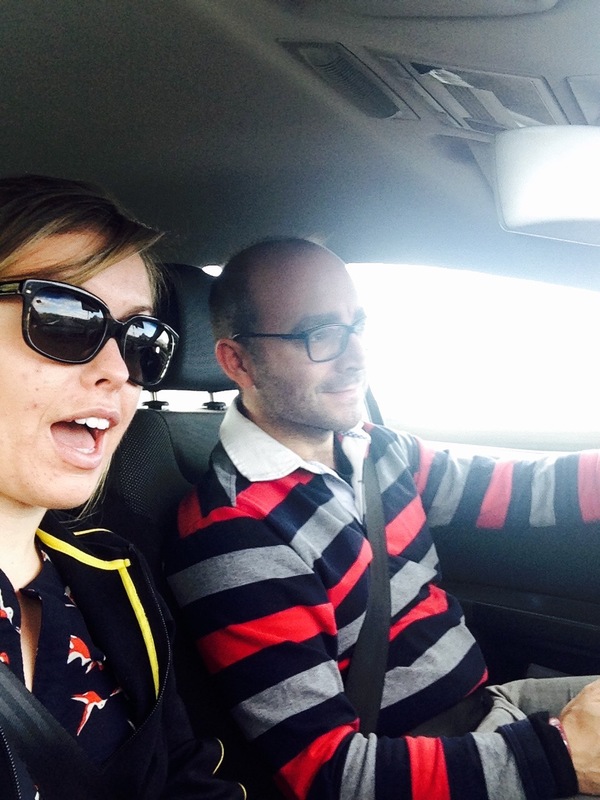 After being on the road for so many hours, all we could do is take a nap (like proper Spaniards). Once we were finally refreshed, we ventured out in Toledo at night. It was so beautiful. 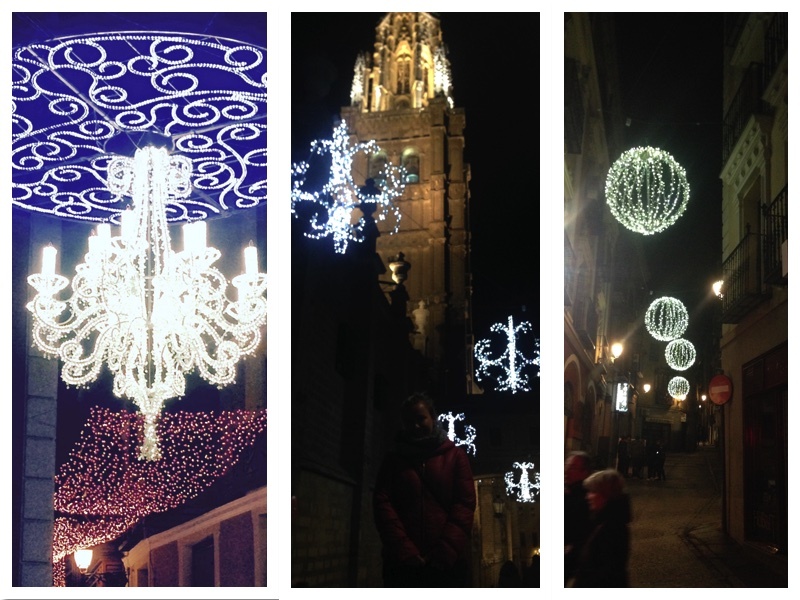 Christmas time in Spain is always special, but the lights around the ancient buildings were something else. 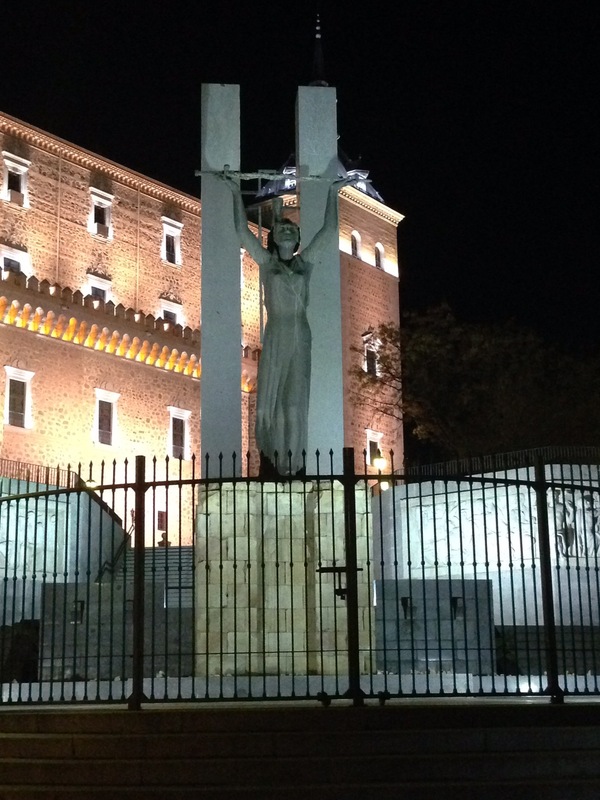 Toledo has many beautiful statues. They are dedicated to heroes of the past. 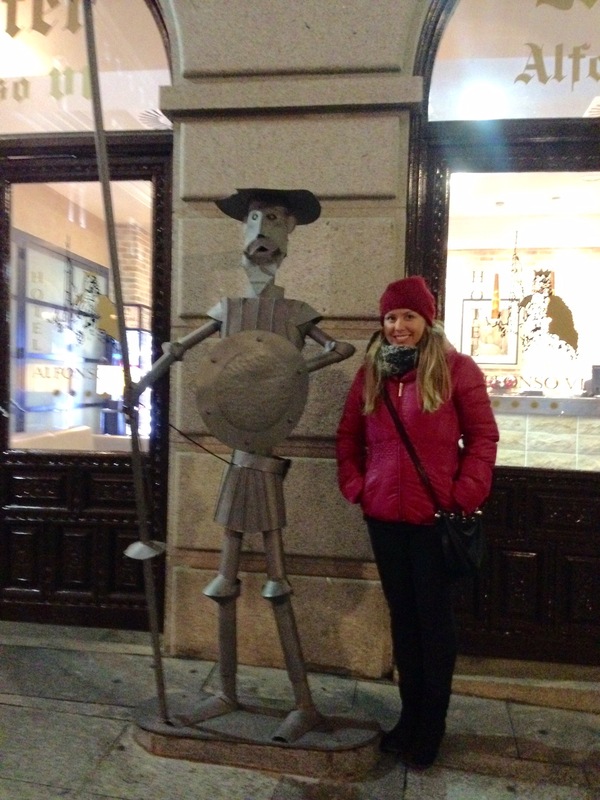 One of the more recognizable statues was that of Cervantes – one of Spain’s many contributions to art and literature. 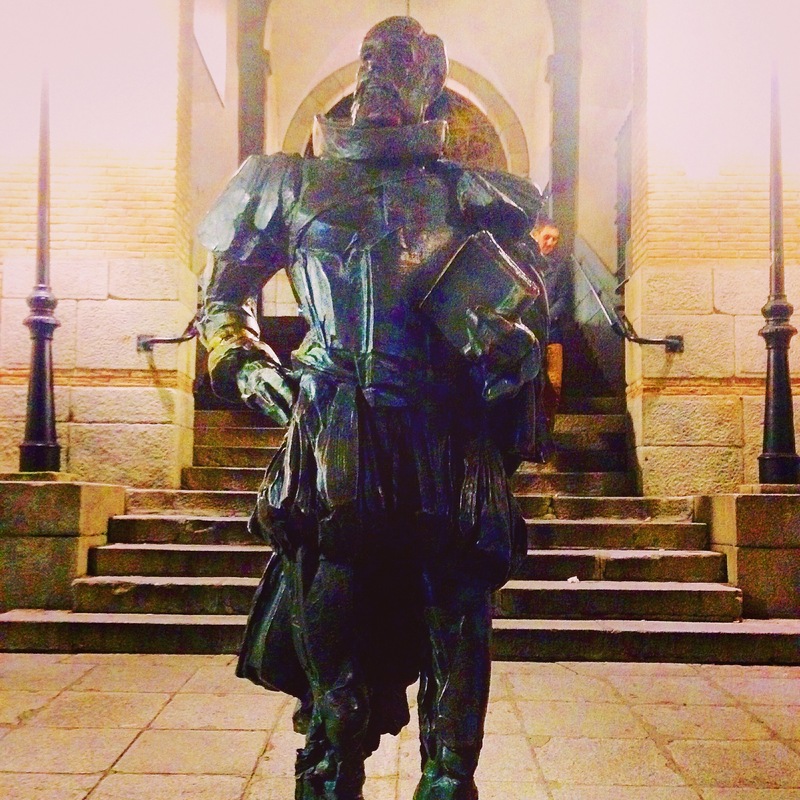 Miguel Cervantes wrote Don Quijote and many other “novellas”, poems and plays. Our wanderings ended with a grumbling in our tummies. We needed food, and thankfully, there were still a few tapas places open. 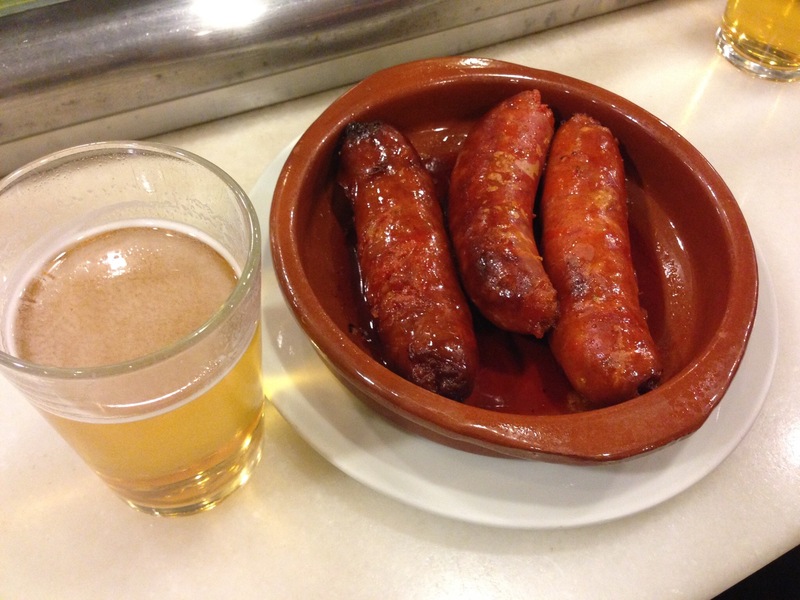 I had some really delicious chorizos, potatoes and a little bit of beer with my dinner. It was delicious, although I did regret eating such a rich meal so late. Finally, after eating enough, and feeling thoroughly exhausted, we ended the night with a Spanish-style gin tonic, close to our hotel. Chin Chin! Study Abroad: Is it worth it?